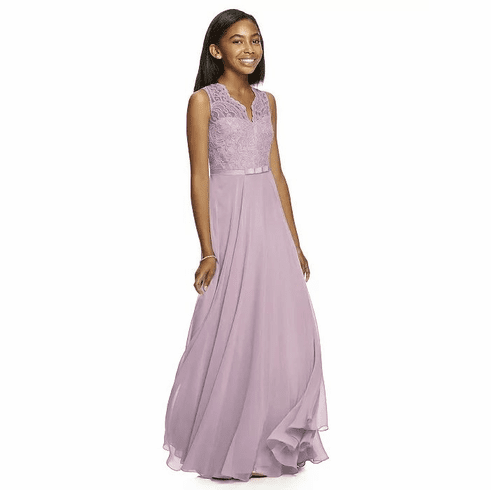 Designer: Dessy Junior Bridesmaid Description: Junior version of style 6715. Full length dress w/ v-neck classic lace bodice available in any color classic lace over any color lux chiffon. 1" grosgrain bow belt at natural waist always matches lace color. Lux chiffon modified circle skirt. Sizes available: 6JB-14JB and 6JB-14JB Extra Length.